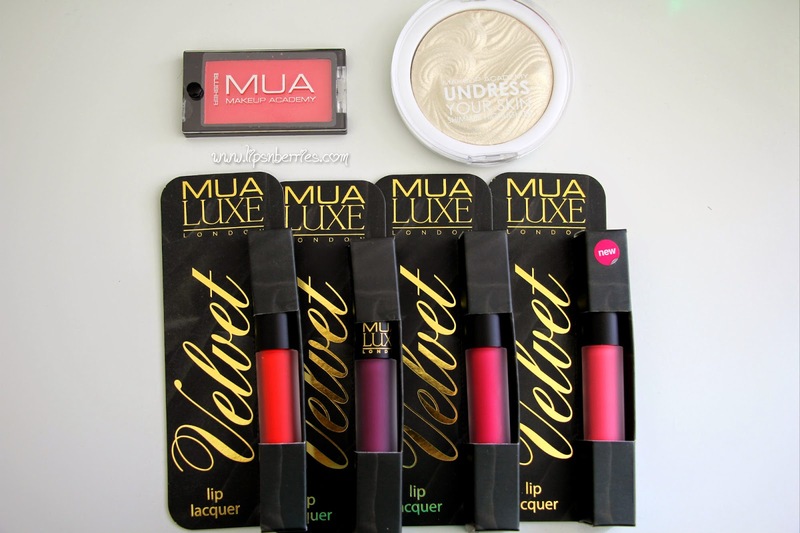 MUA Haul + Swatches! | LIPS n BERRIES! Wohoo! Another haul post! Do you like them? I love looking at a drool-worthy haul. Remember I posted about MUA (Makeup Academy) £1 shipping code on our Instagram and Facebook pages about a month ago? This is that order. It arrived about 2 weeks ago, all bubble wrapped, nice and secure. The shipping took 2.5 weeks. MUA website is super easy to navigate and everything on it is so cheap that you'd definitely end up spending more than you intend to. 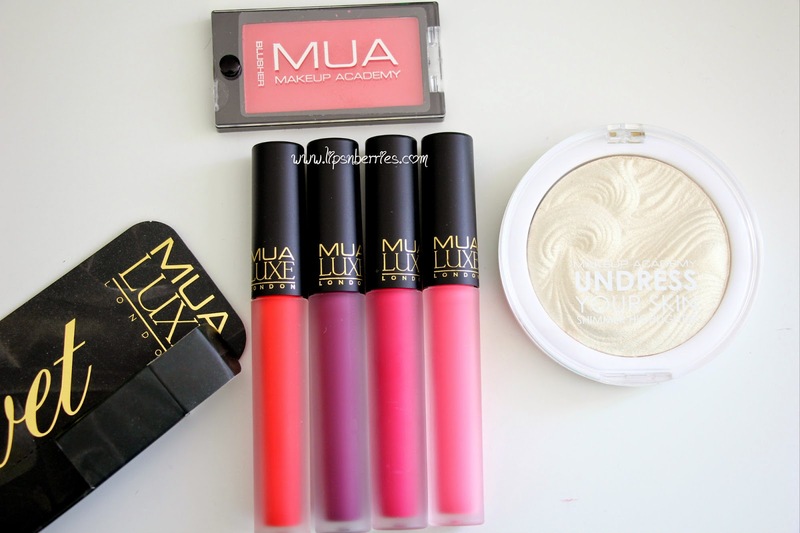 I've bought from them before, here's my last year's MUA Haul. 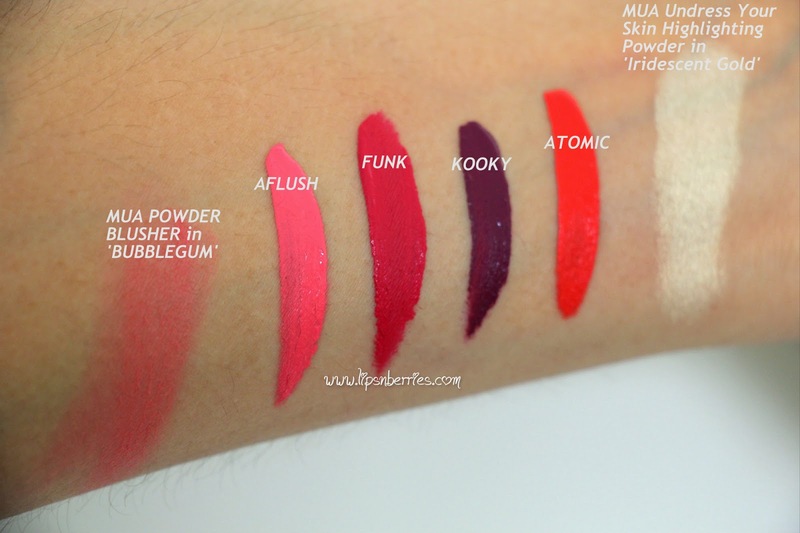 - MUA Luxe Lip Lacquers: MUA likes to copy! They make dupes of UD N*ked Palette (I have it here). And since they do it pretty shamelessly, I love them! You get more bang for your buck! 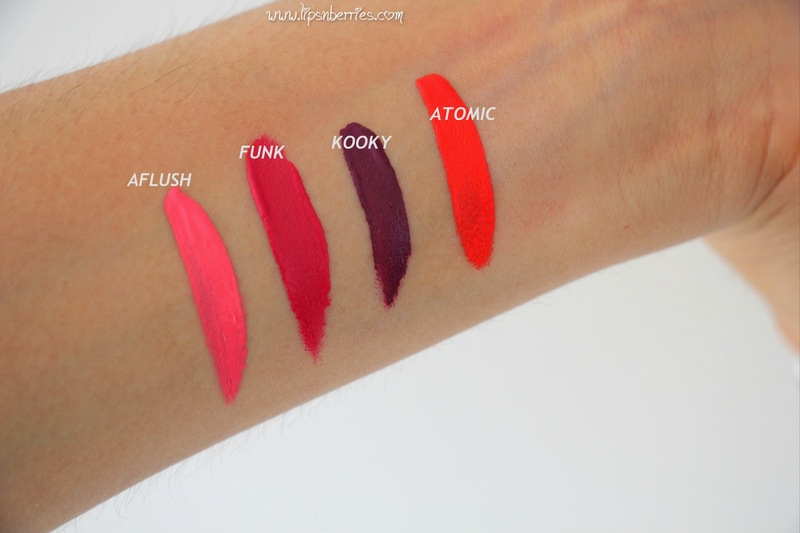 These lip lacquers are supposedly Lime Crime Velvetine dupes (which the whole world knows I'm crazy about! Check out reviews of Utopia, Pink velvet, Red Velvet, Seudeberry). For £3 i.e. about $6 NZD, they are trying to match the $30 Velvetine's. That does deserve some respect right? So I went all out and bought the shades Aflush, Funk, Kooky and Atomic. I thought I ordered 'Criminal' as well but turns out that was just a day dream. I wish I did though coz that shade looks pretty close to Lime Crime Pink Velvet. I think Shayomi did order that. I'll wait for her review to confirm this. Keep your eyes peeled for the review of these. It is going to be a picture heavy post for sure! -MUA Undress Your Skin Highlighting Powder in 'Iridescent Gold': This was for £3 and highly raved about. I love highlighters so why not! 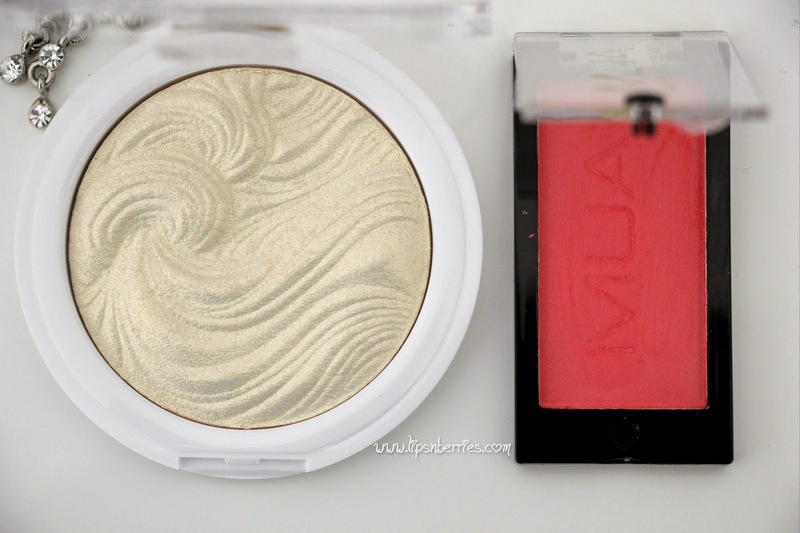 - MUA Powder Blusher in 'Bubblegum' (£1.00): I have another blush from MUA. It's a stark barbie pink in cream finish and I adore it. So figured why not try their powder blushes as well? Bubblegum is a really pretty rusty pink that somehow comes out a bit reddish in the pictures. Did you like any of the products above? Tell me which one in the comments below!